full of new goodies, guests, Big Prize, a fun game and lots of inspiration. 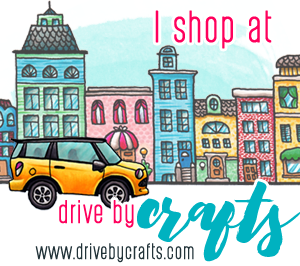 I have been having so much fun playing with the new goodies, one of my faves is the new Scallop Rectangles Die! In celebration of YNS turning 8, the blog hop prize is a whopping $80 GC! Whoa! The more you comment, the greater your chances of winning, you do not need to comment on all blogs to be entered in the random drawing for the GC. 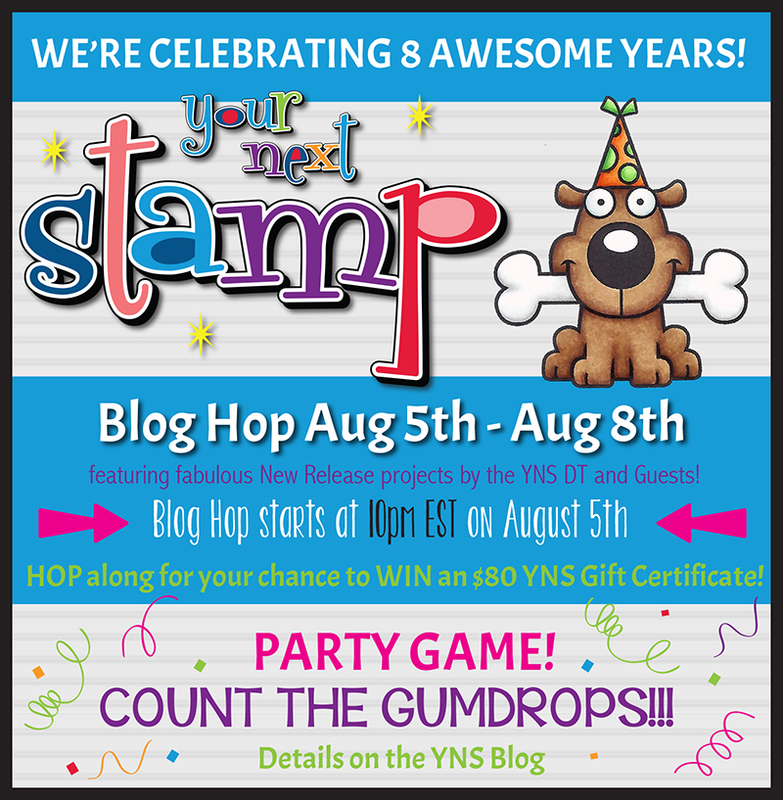 All you have to do is count the gumdrops on each creation in the hop and input the total # along with your name in a special inlinkz on the YNS blog at the end of the hop for the chance to win 10 packs of gumdrops. 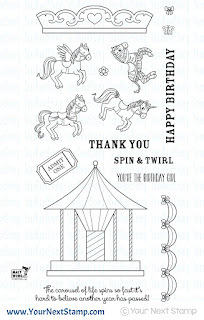 Oh my goodness, I love this Spin and Twirl Carousel stamp and die set. They make such a beautiful card. I used just simple coloring with my Copics (no shading) to make a girly girl card. The starburst stamp works perfectly with this set in the background. Oh and I cannot forget how much I LOVE the new Scallop Rectangles! Having so much fun playing with these new goodies! 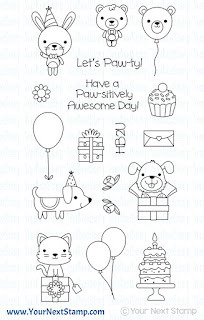 I am playing with the fun and cute Let's Paw-ty stamp and die set in my CAS birthday card. 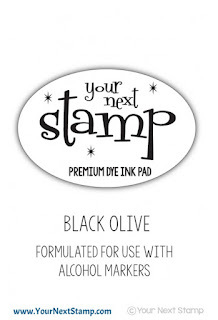 I love how well the Alpha Ink Splatter stamp works as a background! I nested the Stitched Rectangle Die Set with the new Scallop Rectangles! with Let's Paw-ty and Mini Alpha Ink Splatter and embellished just a tad with the new Nautical Matte Gumdrops! Oh and I cannot forget the strip of Designer Paper Pad Birthday Boy. for you to use for a limited time to pick up your favorite goodies from this special birthday release! Happy commenting and good luck! 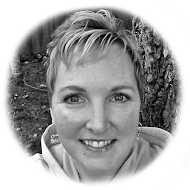 Lisa, loving all of your projects! So awesome! thanks for the inspiration---that doggie card is too cute! Awesome trio of cards, Lisa. all your cards are absolutely amazing, lisa!! I especially like the first one... the soft, girly colors are so pretty!! So many great ideas love the doggie. Thanks for sharing. A trio of awesomeness! 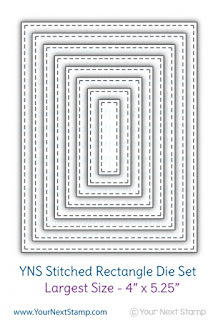 My YNS stitched rectangle dies are my most used and most favorite dies. I'm loving the new stitched scallop rectangles set! A must-have set for sure! What fun cards! 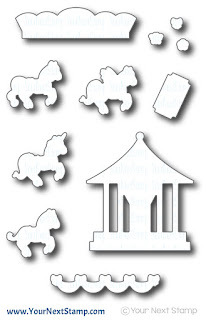 Love that cute pup and the Scallop Rectangle Dies! You made a great choice not coloring everything in the carousel card. I love how the mini background stamp creates such a celebratory look. You really know how to Paw-ty! Love your cards and this great release. The 3D Merry-Go-Round is awesome. I love the scatter alphas and The dog one is absolutely cute! Love the soft colors in these sweet cards! 3 fab cards Lisa! The alpha background looks great in the grey. Once again, such clever stamp combinations! Each of your cards is an A-DOR-ABLE treat! They are all adorable, loving the cute dog flying away with the balloon!! Awesome cards! That carousel is amazing. Love this release! These are all so cute Lisa. The puppy is so cute and I love the last card for a masculine card as well. These are all so wonderful Lisa, I particularly adore those sweet subtle carousel images! 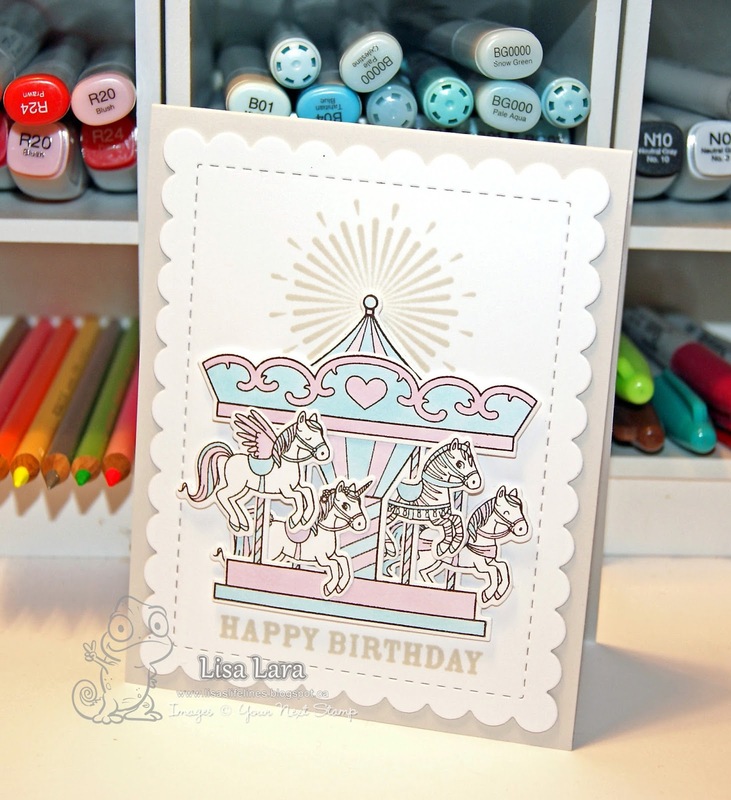 Oh my your carousel card is gorgeous and that alphabet spatter stamp!! Brilliant ! Lisa, I love that carousel!! Using the sunburst on the top was genius!! I love your cards! The new products are just wonderful! I love the background stamping in these cards. And the masculine birthday card is great. Such cute cards! I like the scalloped rectangle die. OMGosh these are all so adorable, I love them! I love your cards, Lisa! The carousel card is just gorgeous with those pretty colors! These are wonderful cards! So simple and light. The carousel card is simply lovely. 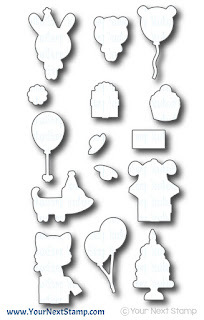 The Let's Paw-ty set is adorable. on this one reminds me of those pieces. I love this alpha splater .. I agree. 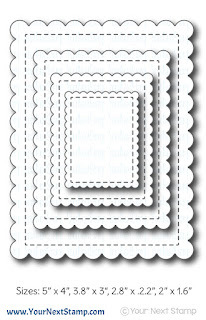 The stitched scalloped rectangles are great. Wonderful cards. Oh Lisa what fun cards these are! 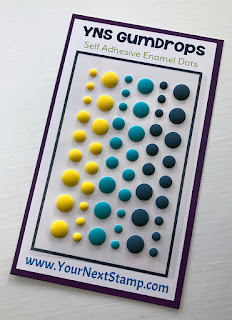 Loving the scalloped rectangle dies especially and the way you used them. thanks for the awesome inspiration! Awesome cards! Love the new scalloped dies and the splatter stamp! 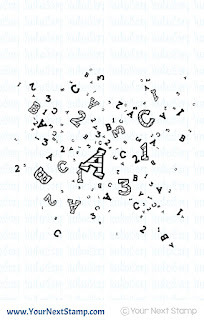 Very cute, especially the the alphabet splatter. OH wow, such sweet cards with those sweet products! Adorable cards! I love that cute dog! 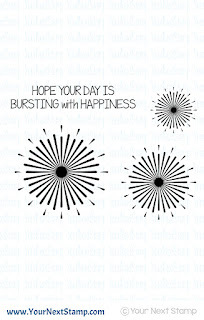 Cute card designs. I like how you used the starburst stamp. Your cards are so nice! I love that dog floating by a balloon! So cute! Beautiful cards, love your ideas with the new dies! Sweet! Love all of your fabulous cards Lisa!!! The Alpha splatter in the background is a very nice look, and using the burst at top of the darling carousel is magnificent. Adorable new products and inspiration, Lisa! Let's Paw-ty is a must-have set for me! I had a wiener dog for 16 years and still love them all dearly! Your card featuring the dachshund is sooo cute! Great job on all of your creations! These are so adorable cards. Eeek!! I love that cute little wiener dog card! 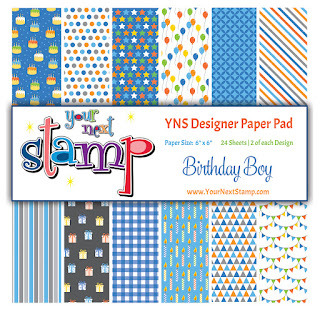 Can't believe YNS is already 8 years old but I'm so happy to have discovered these adorable and happy-making stamps and dies! Love all three!! So cute! Wow, look at you! Three great cards! 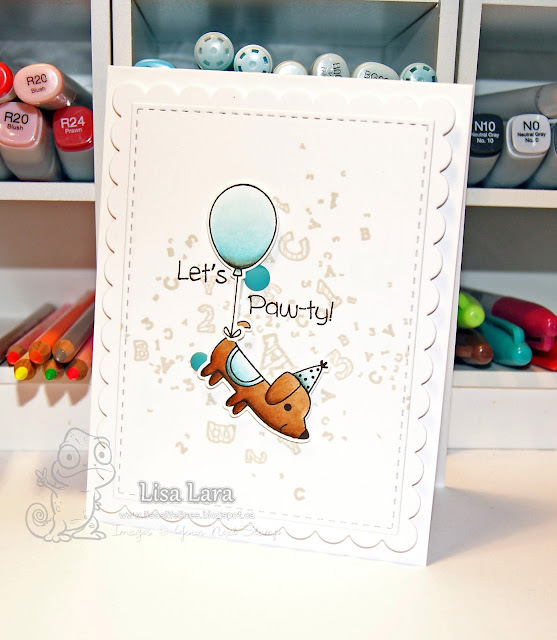 Love how you used the alpha splatter stamp, and the carousel is so pretty for a little girl. My heart belongs to the darling pup which you used so creatively. Awesome stamping, Lisa! All of your cards are amazing but I do have to say the carousel is my favorite! Thank you for sharing them all! Your cards are fabulous! That carousel is gorgeous, but Let's Paw-ty! has stolen my heart! ALL of your cards are FAB!!! Just goes to show CAS can really make a statement!! And LOVE how you did the carousel card!! I just love that carousel card! Simple, yet stunning. Kudos! cards are adorable ,love the falling dog!!! These are all so adorable!!! That carousel is really fun! So many great new designs!!! So much fabulous inspiration!!! And all I have is time--yayyyy!!!! Thanks for the sharing these delightful cards for the hop, Lisa!!! They are awesome as ever!!! Beautiful cards, that splatter stamp card is amazing! I was so intent on counting the gumdrops that I nearly forgot to leave a comment! Your cards are gorgeous! The carousel card has stolen my heart! Awesome release! Love this new release. I'm with you ~ love the scalloped frame dies. I love all your cards! Especially the second one! Awww!!! All your cards are absolutely cute!!! I'm in love for the stunning carousel card!!! i love seeing your cards... you are so creative. Love the little doggie flying with the soft grey background. These cards are gorgeous! I love your simple colouring in the carousel and the other cards are just so fun and bright!